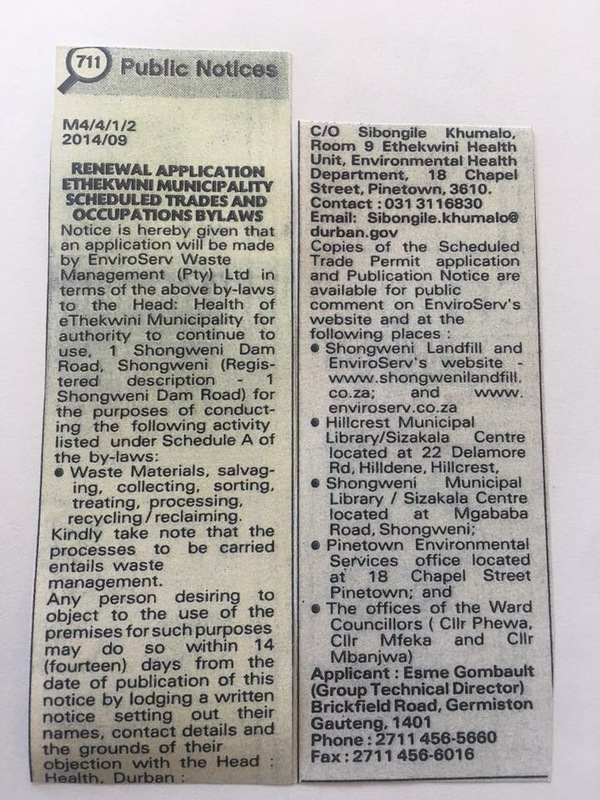 After an initial, clearly irregular, application for a Scheduled Trade Permit by EnviroServ, Ethekwini has (we assume) given EnviroServ an opportunity to remedy its defective application and the irregular process initially adopted by Ethekwini in deciding it. This was done after community members had already lodged objections! No explanations for this have been provided, despite requests, and Ethekwini have failed to state whether the old application is still pending or withdrawn or refused! On 11 July 2018 EnviroServ published a defective notice advertising its application and the copy of the application was not available as stated in the notice, up until (including) 13 July 2018. No surprises there. Again these irregularities were raised. On 13 July 2018 another advert was published in the Mercury and Die Beeld (as far as we know), and the copy of the application only available on 16 July 2018. The copy on the EnviroServ website (also loaded only on 12 July 2018) is in a format which does not allow you to download or copy it. 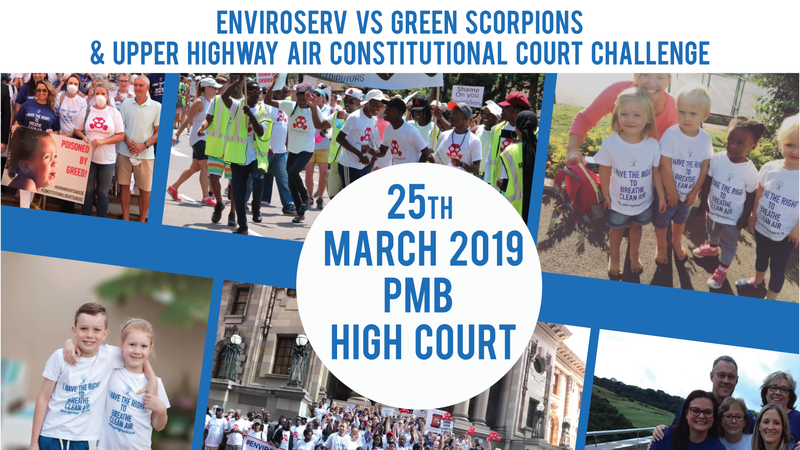 Again no surprises there as EnviroServ do everything in their power to make sure people cannot exercise their rights to object properly. This has also been raised with the authorities! EThekwini will be considering this “new” application by EnviroServ for a Scheduled Trade Permit. Click here to see the Scheduled Trades and Occupations By-laws for EThekwini. To view the application advert click here. In terms of s4 of the By-laws, EThekwini can only issue the Scheduled Trade Permit if satisfied that no nuisance will result from the conduct of operations at the site and are also obliged to take action against EnviroServ if nuisance results, including directing abatement measures be implemented, and if they do not, to implement them and recover the costs from EnviroServ. We all know EThekwini have done nothing other than to continue granting Scheduled Trade Permits to EnviroServ up to and including one which existed in April 2017. In terms of s4 of the By-laws you are entitled to object to the grant of a Scheduled Trade Permit to EnviroServ. Should you wish to lodge such an objection, please do so. Please continue to report, support and donate.